Home » Category archives "Business Services"
Summary: IT consultants can make or break your business. One of the first things that you need to consider when hiring an IT consultant is what their employment status will be. Lay out the fundamentals of what you’re hiring him for. This is crucial when it comes to any legal issues that may arise. It’s also important for companies to correctly determine whether the IT consultant is an employee or an independent contractor and follow through with the appropriate Social Security and Medicare contributions. If you’re going the route of using an IT staffing service as opposed to the independent contractor, they can help determine who’s right for your company. Be sure that you consider three different categories such as: behavioral, financial, and type of relationship. These all tie in together when it comes down to how your consultant will work in your company. It’s also key to protect your intellectual property. If a consultant holds your social media account hostage because of contractual issues, you’re probably going to have some difficulties when it comes to getting back what you need to run your business smoothly. This is why it’s so important that your company receives the IT consultant’s services address IP up front. Never forget to do this. It consultants are often tied to core businesses. Be sure that you conduct a thorough interview like you would a regular employee. You want to be sure that the consultant can do what he claims he can along with other factors that play a role in determining whether he’s a good fit or not. 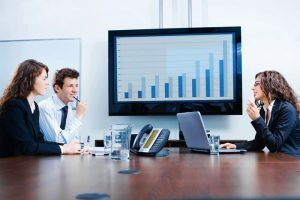 Blog submitted by Constant Technologies, Inc.: Constanttech.com can build you a quality command center video wall for the most competitive rates. Give them a call today! With so many e-commerce platforms to choose from, there are several features that should be non-negotiable. 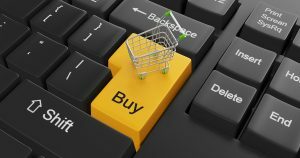 Here we look at four of the most important features that you should be a part of your shopping cart software. Already a majority of web traffic comes from mobile devices. Without a responsive layout, you risk losing sales to visitors from smartphones and tablets. With smartphone traffic set to reach 80% of all website traffic, responsive design is an immediate need. The user experience of your website can be the difference between someone buying an item now or postponing the decision. When a visitor defers a buying decision, there is a high possibility of an impulse purchase somewhere else. One of the drawbacks of open source systems is the lack of support. Those open source systems that do provide support do so at a cost that is not all that different to a commercial offering. It is better to go with a commercial offering that has proper 24×7 support. If there is one feature that can make a difference to sales, it is the ability to accept many different kinds of payment. 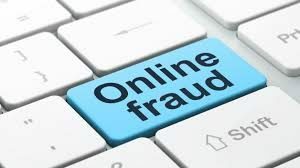 For example, Secure Net Shop accepts credit cards, checks, PayPal® payments, Google Checkout® payments, Purchase Orders, COD, telephone, fax and mail orders. Different people find certain payment systems safer and are more likely to purchase if that option exists. Elon Musk is a master of hyping products and technology that does not yet exist or will not exist for years. Which is why it was surprising when Reuters discovered that not only will Tesla’s often teased electric semi-trucks will get road tests soon, but they will also have autonomous driving from the start. According to emails between Tesla and the Nevada DMV, the two sides discussed the “potential road tests” of self-driving capabilities. Furthermore, the discussions included Tesla’s desire to test platoons of long-haul semis. Tesla is not new to self-driving technology. The new Model 3, Model S, and the Model X all come with some form autonomous driving technology. Customers can pay $5,000 to include the technology at the time of purchase. There is also a $3,000 charge to enable full self-driving, which Tesla will enable as soon as the technology is ready. What is surprising is that not only is Tesla ready to test this technology with its upcoming semi-trucks, but that there was no mention of it from Musk. Nevada is the logical choice for self-driving tests as they are one of the few states so far to hand-out licenses for autonomous vehicle testing. Tesla is not alone in its self-driving truck ambitions. Self-driving rival Waymo has its self-driving truck program, as does Otto, which was acquired by Uber. However, what sets Tesla apart is that the truck itself will be electric. 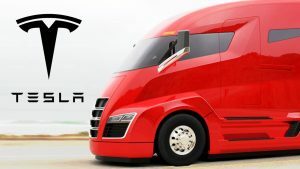 Tesla is set to launch the new electric semi-truck in September. We can expect to get a complete breakdown of its capabilities at the event. When a login attempt to the site comes from a new browser or computer, the user is sent a code to his or her mobile device to confirm the identity. A lot of sites do not insist on a certain strength when it comes their password policy. Prompt users to enter extremely strong passwords which most likely be different from other sites. This way a compromised account from another site is unlikely to work. Thanks to the shopping cart ecommerce has taken off. This has resulted in a lot of online transactions. One way to stand out is to send confirmation emails for every transaction or change to the user’s account. Secure Net Shop is an online shopping cart software provider for ecommerce sites. There is a catch to the offer. Much like the Kindle, these prices are ad supported. 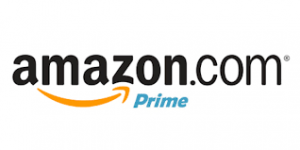 Buyers will have the full suite of Amazon’s Android apps installed. Ads will also appear at random times on the lockscreen and notification bar. For those willign to tolerate these ads, it is a great offer.